We are back on the mat and running taster sessions for new people during early October — the first session is Monday 2 October at Hugh Cubitt Centre from 8 – 10 pm. Come along to any session — Tuesdays and Thursdays from 8 – 10 in Hugh Cubitt and Fridays from 7.30 – 9.45 in the Bloomsbury Fitness Centre. Our focus is on practical self-defence that works, for people of any size, shape and level of fitness. We teach Japanese jiu jitsu — striking, locking, throwing, and ground fighting, and we blend in to our introductory sessions violence awareness and personal safety techniques. Your first session is free, and the club is open to anyone willing to work hard. Just wear something lose and comfortable. Everyone is welcome to join us for a drink in the pub after. Any questions, find the UCLU Jitsu Club on Facebook. This entry was posted in training, welcome. Bookmark the permalink. 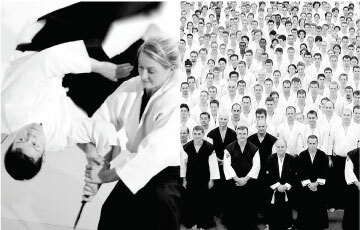 Based in central London, UCLU jiu jitsu is a martial arts club teaching realistic self defence techniques in a friendly environment. Beginners are welcome at any session. Just wear something loose and comfortable -- and be prepared to join us for a frosty beverage in the pub after training. It's a yin and yang thing.